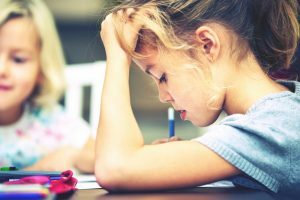 If you’ve noticed symptoms of depression, anxiety, or other mental health concerns in your child or teen, making an appointment with a therapist can be the first step towards figuring out the underlying cause of these changes in behavior and helping your child manage symptoms that can interfere with his or her life at home and school. A health advisor can also help you research and make an appointment with a mental health professional who specializes in treating children and teens. What are your credentials and background? Find out whether the therapist is licensed in your state. There are several types of licensed mental health providers including psychiatrists, psychologists, clinical social workers, psychiatric nurses, family and marital therapists, and counselors. Ask where the therapist earned his or her degree, what degree was earned, and if he or she has any areas of special expertise, for example working with children with autism or children who’ve experienced trauma. Do you specialize in therapy for children and teens? The approaches to therapy that work for adults aren’t necessarily the right ones for children. Talk to the therapist about the types of therapy provided, what these therapies involve, and what clinical evidence supports the effectiveness of this approach. Find out how long the therapist has been in practice and how long she or he has been treating children and teens. Will you include me and other family members in the treatment of my child? Ask how often the therapist would like to meet with you and what information he or she will share with you about what your child and the therapist discuss, which may depend on your child’s age. For teens 18 or older, you’ll need your child’s permission to speak with the therapist. Can you prescribe medication if needed? If the therapist cannot prescribe medication and decides that it would be helpful for you child, find out who would manage this aspect of your child’s treatment. Ask under what circumstances the therapist usually recommends medication as part of treatment and how its effects are monitored and assessed. Will you provide me with a treatment plan? A treatment plan should outline how the treatment will address you child’s specific issues, what benchmarks will be used to measure your child’s progress, and how long treatment is projected to last. What is the cost per session and do you accept insurance? A growing number of mental health professionals are opting out of accepting insurance, which means you will need to pay the cost of care out of pocket. If the therapist does not accept insurance, find out how often you will be billed and when payment is due. If the cost is prohibitive for your family, ask if the therapist has a sliding fee schedule.